Ever wondered what is the difference between Excel 2019 and Office 365? 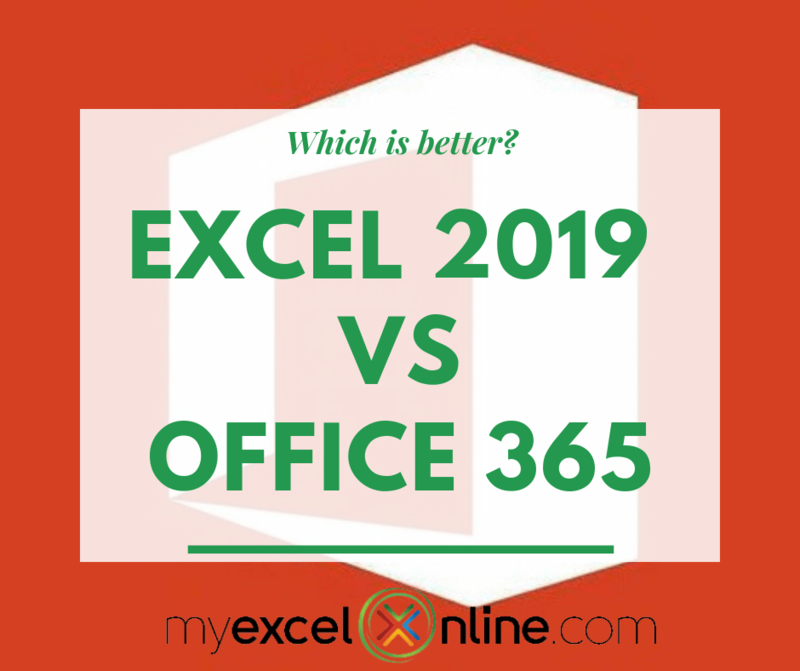 Look no further as we will give you a detailed comparison on Excel 2019 VS Office 365! First things first, what is the main difference between the two? If you purchase Office 2019, this is a perpetual license wherein you pay once and you own it forever. Office 365 on the other hand is subscription-based, you either pay a monthly fee or annual fee to keep on using it. On paper, the own-it-forever sounds better right? But there is more than meets the eye, keep on reading! Which means if you have at least 2 users, then Office 365 Home becomes a better deal instantly as compared to Office 365 Personal. For Office 2019, we are making the assumption that the software has 3 years of ownership, before you upgrade your software to the newer version. This allows us to compute to a cost of $50.00 a year. And if you see the inclusions, there are more Office Applications included in the Office 365 package. (e.g. Outlook, Publisher, Access, Onedrive, Skype). So from a cost perspective, Office 365 Home is the better deal, assuming you have at least 2 users (up to a maximum of 6!). From a features perspective are they exactly the same? Office 365 has one major advantage over Office 2019: Office 365 constantly gets updated with new features every couple of months! Office 2019 and Office 365 right now are almost at par in terms of features at the time of this writing. However give it some time, and Office 365 will be ahead in terms of the features race. Another good thing, is the changes are gradual in Office 365 and you get them right away. And as compared to the perpetual Office 2019, the changes are more drastic when you upgrade from one perpetual Office version to another (e.g. Office 2016 to Office 2019). Custom visuals such as bullet charts, speedometers and even word clouds! The list will grow longer for Office 365 soon! One common misconception is that with Office 365 is you have to be connected to the internet to use it. It’s not true! Office 365 is installed locally on your computer, similar to how Office 2019 is installed. We suggest moving over to the subscription model, as it keeps your Office applications up to date and you will reap the benefits sooner too! Imagine seeing a sparkling new feature, then only to discover that your perpetual Office installation does not support it! Office 365 removes this issue outright, as you get it right away as included in your subscription. I hope this has been helpful for you in terms of comparing Office 365 and Office 2019. If you can get Office 365, I highly suggest to go for it! What Excel Version Do You Have? If you’re not sure what version you have, go to the File tab of any Office application and select Account. You will see your version under Product Information. 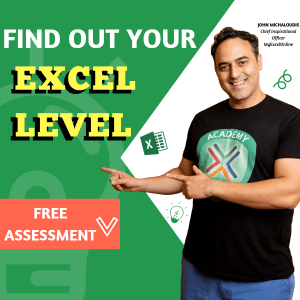 We have compiled this tutorial which easily shows you which Excel version you currently have: What Microsoft Excel Version Do I Have?